So, the other day, Pirromount Pictures sent me information about their upcoming film Rage of Innocence! It's a psycological thriller and director Mark Pirro says it's "Fatal Attraction meets The Crush". I was completely sold on the title alone but that comparison really has me curious! Departing from the comedic tone, a standard of Pirromount’s previous features, this is their first venture into a psychological thriller. The movie centers around a high school teacher Vincent Marsden played by John McCafferty (“Deathrow Gameshow", “The God Complex”) who begins a relationship with a female teacher. He soon discovers that his lover’s teenage daughter Raven Sutton played by actress Stef Dawson (“Wrath, “Shadow of the Monarch”) is psychologically unbalanced. Raven stops at nothing to keep him from dating her mother. Her violent rage escalates and spirals into a dangerous web of lies, deceit and ultimately forces him to play her deadly game. Keep your eyes peels for this film independent film! I absolutely love the Hatchet series! Hatchet III will be released on June 14th, 2013. As you can see Danielle Harris return in this one, she's also joined by Kane Hodder, Zach Galligan, Derek Mears, Caroline Williams, Sean Whalen and some others. 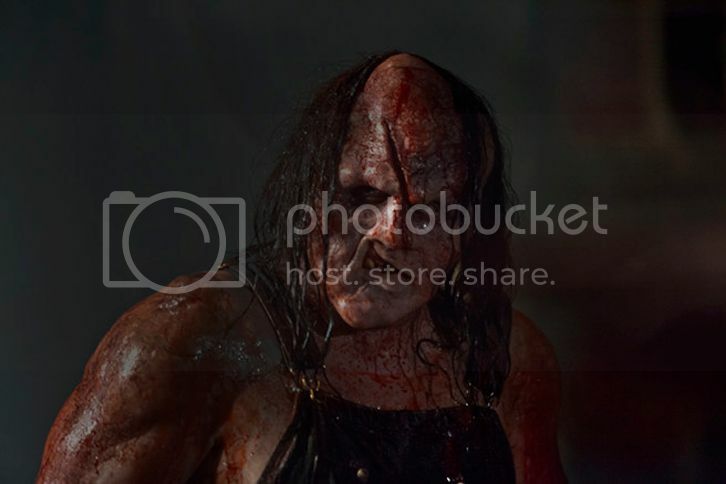 The film continues to focus on Victor Crowley. In this one, a search/recovery team goes into the haunted swap to basically clean up the disaster that was left behind from the first two films. One of the search/recovery members, Marybeth (Danielle Harris), finds out the true secret to end the voodoo curse that has left the ghost of Victor Crowley terrorizing Honey Island Swamp for decades! I'm excited about this! I'm sure they probably filmed in New Orleans again! UGH! I'd love to have been on set...one can dream, I suppose! Anyhow, enjoy the trailer below! This isn't necessarily a horror movie buuuuut I had to talk about this! I think Spike Lee is a pretty cool director...at times but this is getting ridiculous! Yes, it's ridiculous because he hopped on the remake train but he's not remaking just any movie! To avoid spoilers, I'll just say, those who haven't seen this movie just know that it has such an insanely STRONG story line that it's hard to remake something like it. More importantly, why even try? Can't you just like the movie and watch it everyday without ruining it for everyone else? It's also ridiculous because how is it "A Spike Lee joint"? Someone give me a valid reason on how it is because it's not. It's not his. Simple. He just decided to remake it. Anyhow, it's going to hit the theaters on October 11th, 2013. SYNOPSIS: Oldboy tells the story of a man who is kidnapped and imprisoned on his daughter’s birthday. For fifteen years, he is held captive, and, upon his release, must begin his journey to find the reason for his imprisonment. He soon finds out that his kidnapper has plans for him more tortuous than his solitary confinement. Has anyone seen the original and is anyone looking forward to seeing this? Sadly, today is the last day of this awesome May Monster Madness! I hope that everyone enjoyed what I shared on here, I tried to keep it entertaining! As we continue on this monstrous journey, I'd like to share a couple of favorite monster quotes of mine! This week is breeeeeeezzzinnnggg by with all these awesome blogs about MONSTERS! This movie rocked my childhood! It was a TV released on October 9th, 1999 and was directed by Kenneth Johnson. It's a Disney channel original movie and it was sadly the Disney channel's second and final attempt at a horror film. This awesome film is basically about a girl, Francis, who calls on her younger brother's imaginary friend, Larry Houdini (Yes, Houdini!) to destroy the mischievous Boogeyman. The Boogeyman has been framing Francis for the pranks he's been committing throughout the whole town. Definitely worth a look, it's streaming on YouTube! I will always adore this movie, it's a blast! Be sure to check out the other blogs! SUPPORT -- Kill Your Television! Independent horrors in general need more love & support. 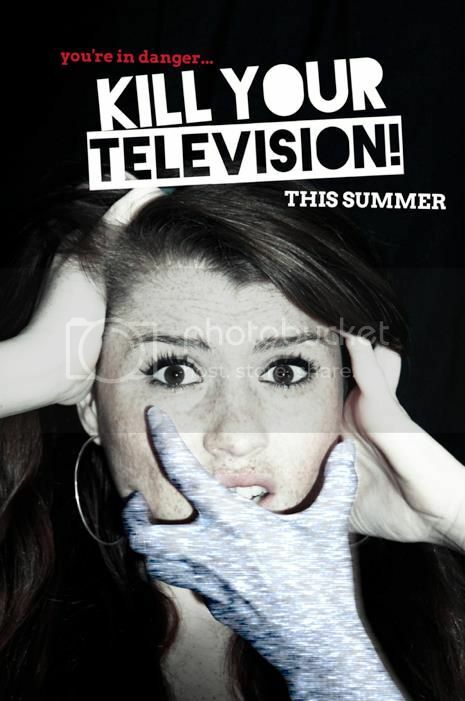 With that being stated, you definitely need to check out new director Shawn D. Kelly's film, Kill Your Television! I love the story line and how his vision for his film to become a reality. It looks like he and his crew had an awesome time filming it as well. Shawn is a horror film enthusiast and has been directing for about a year. Although he had limited resources with this film, you can definitely see and feel his love for horror. It's refreshing to see that people are still following their dreams and making an awesome effort towards it. Below is the film's FaceBook page as well as Shawn's production company page! You can also check out the trailer for Kill Your Television! Furthermore, if you absolutely love the way the trailer looks, don't worry, you can also check out the film HERE! It's only about 23 minutes. Look out for my review coming soon! It's ALMOST time for May Monster Madness! YAY! Basically it's a blog hop featuring posts about MONSTERS! It can be anything you can think of as long as it has something to do with monsters, crafts, lists, movies, something funny funnies and....yeah, anything! So! If you want to be apart of this awesome fest, all you have to do is add your name to list the list below! You don't have to have a horror related blog to participate! The link list below also provides all the other participating blogs to enjoy! There may also be a blog scavenger hunt with a prize, whoo! Once you sign up, there will be reminder emails and information for the hunt. This is ONLY a seven day event! If you sign up, please make as many posts as you can! They're all gonna laugh at you! 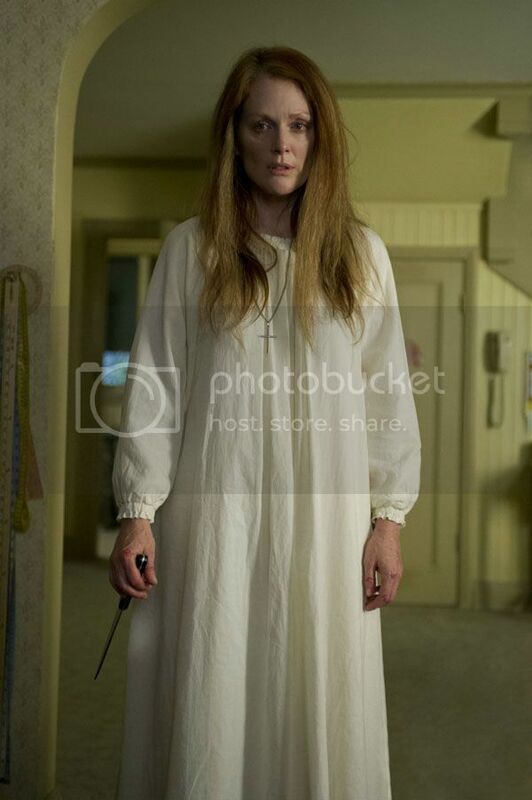 I came across photos from Carrie and thought, "Why not share?" 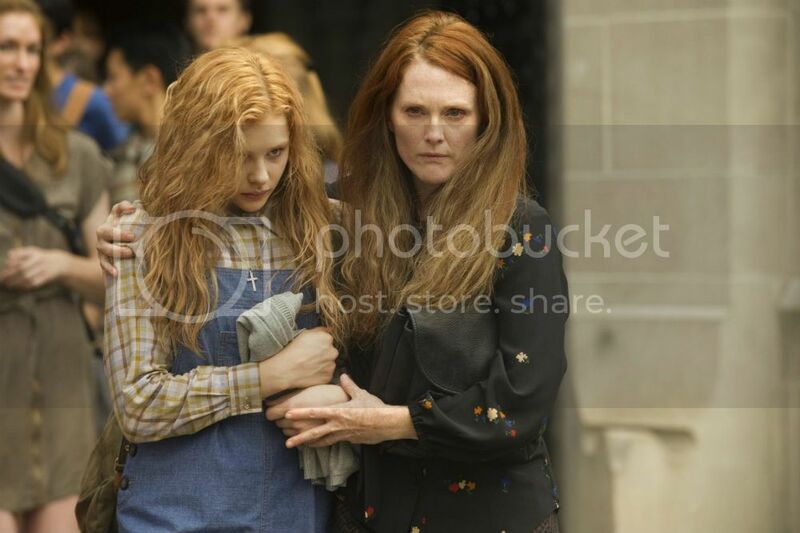 This film is directed by Kimberly Peirce and is due out in theaters on October 18th! SYNOPSIS: In the quiet suburb of Chamberlain, Maine lives the DEEPLY religious and conservative Margaret White and her sheltered from society daughter, Carrie. Duh! The name of the movie! Carrie is very sweet, but she's an outcast. Carrie's gym teacher tries to protect Carrie from the mean girls in school, blah, blah, blah. Carrie is pushed to the limit by her peers at a dance and she pretty much unleashes telekinetic havoc. So....it sounds EXACTLY the same. I'm a bit curious but I'm not going to run to the theaters or anything. If I get around to seeing it, that'll be fantastic! Is anyone looking forward to seeing this? UPDATE -- The Queen behind Horror! I've been M.I.A. for a bit and I feel horrible about it, but I've been pretty busy with a side job that I had. Yes, HAD! It is gone and honestly, it's for the best. It had absolutely nothing to do with any type of goals I have for myself. I thank that job for the opportunity but this is for the best. This was just one of the many jobs that I disliked, as a result of this one, it made me push through to break boundaries I never thought I could. I know that I'm a very ambitious person, and if there is something that I want, I always go out and get it. Always. Not many people know this about me but I have an Early Childhood degree *SHOCKER!!! * Yes, I know! I'm a die hard horror fan, but I also love kids! And at one point, I wanted to be a pre-k teacher before eventually becoming a Professor of History. Once I had my Early Childhood degree, after all those long hours, hard work and listening to parents tell me all the things their child is allergic to, I realized that was NOT my passion nor my interest. I knew I couldn't spend the rest of my life doing that. In fact, I started to despise working in daycares. I had an amazing offer from prestigious daycares to be a part of their team, but I knew I couldn't take on an opportunity I would be miserable in. That was an issue that I did for myself that family, close friends and random people could not understand about me. I refuse to take on a job that's paying me well but I'm completely miserable! YIKES! I'm not saying that teachers are miserable, but if I would have became one, I would have been. There have been too many times I put myself in situations where I knew I didn't want to be there. Maybe that's not the most intelligent way to get ahead, but my goal isn't to get ahead in those fields. I know I'm an emotional thinker and that's often not good in life's situations! Anyhow, ever since I graduated college in 2009, I never wanted to go back, especially since I felt like I wasted years of my life getting that degree. I did say to myself if I ever were to go back to school, it wouldn't be for a waste and I'd actually use that degree. As a result, I decided that I'm going to start from scratch and go back to school. I decided that I'm going to school for Fashion and Retail Management. Yes, the REAL QUEEN OF HORROR is going to go to Fashion School! Horror and Fashion are my two favorite things anyway. So, it's makes perfect sense! My goal with this degree is to, of course, learn as much as possible and own a boutique, filled with fantastical delights. 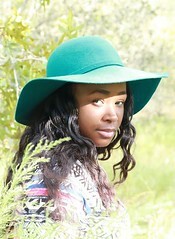 I was inspired by my current employer, and I was able to see how much I adore fashion and the freedom to be creative! I know this is not going to be easy, but I'm surprisingly looking forward to the challenge. I'm proud of myself for figuring this out and wanting to pursue this! And I'm beyond excited for the plans I have and what's in store for me. So! That's just an update on what's going on with me! Married life is awesome. My husband is supportive and understanding of what I love and what I'll be pursuing. So, I'm happy with my support system. It's a relief that I do not feel like a flip flopper! 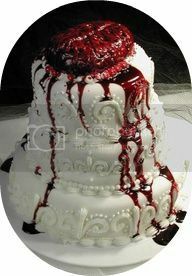 Real Queen of Horror, on the 21st of this month, will be 3 YEARS OLD and I plan on doing a giveaway! So make sure you keep on checking back! on here often about this new endeavor! Hello, All! It's Zena. Welcome to my horror outlet. More on Real Queen of Horror? All names, trademarks and images are copyrighted by their respective owners. And all my personal text, images and videos are by Real Queen of Horror. My personal text, images and videos may not be used in any way without my written consent. Please email any questions or requests regarding permission to use the content in any way. Thanks!